Placeholder art, or something more? 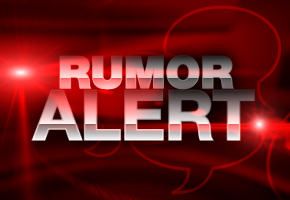 So you may remember the little news story from a few months ago concerning a certain document leak between Sony and Sega, where both companies discussed their plans for their future. In the document was a little bit of a tease – Sega prodding Sony about the fact they could introduce Playstation-centric characters as exclusive PS3 downloadable content for Sonic & Sega All-Stars Racing. 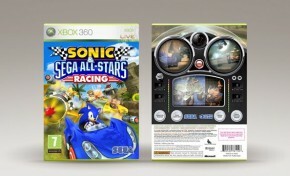 As an example of what characters would be acceptable, Sega mentioned the “Rare or Fable universes”, an obvious reference to Xbox 360 exclusive games. 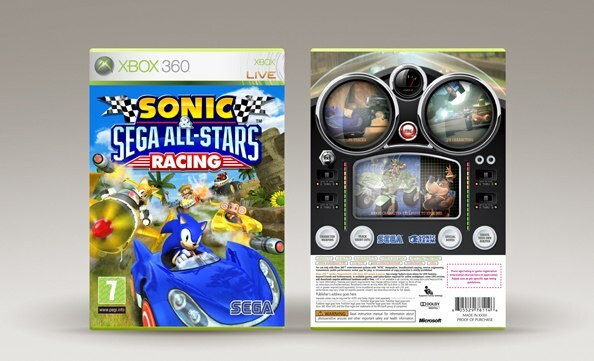 With that in mind, UK visual designer Chris Lewis (in charge with creating marketing assets for All-Stars Racing) has recently posted on his portfolio website a work-in-progress version of the Xbox 360 ASR box art. Sharp-eyed readers will quickly notice that among the artwork on the back of the box is Rare’s very own Banjo and Kazooie. Now, obviously, the fastest and easiest conclusion one could come to is that Banjo is only on the back of the box because this is, as the website says, a “Work-in-Progress”. It’s not done yet. Banjo could simply exist as placeholder artwork, to be replaced with text (or pretty much anything else) at a later point in time. But when viewed in the light of the leaked Sony memo, artwork of this nature only throws fuel on the fire that we may yet see a certain Bear-and-bird duo as Xbox 360 exclusive racers. Given that last year’s Banjo-Kazooie: Nuts & Bolts featured drivable vehicles as a focal point, the pair would make a perfect fit for the All-Stars Racing roster.